Ashton Reynolds – At a young age, my parents emphasized the importance of keeping God first, integrity, and excelling academically as well as in other extracurricular activities that he chose to partake in. Most importantly, he learned to stand up for what he believes in, back down from nobody, and be confident in the abilities that were bestowed upon me from God. This style of upbringing led to him becoming the first African American male to win a spelling at my elementary school, being recognized by the president of the United States of America for winning the National Mathematics Award, becoming a honor roll student-athlete and becoming a member of the Forest Park Teen Council headed by former city councilwoman Sparkle Adams. He attended Forest Park High School and graduated in 2012. It was during his tenure in high school that he truly developed his entrepreneurial spirit and my willingness to contribute to change the world after watching my mom do it for so many years before she passed away. Ashton enhanced his vocabulary as a result of always being in a position of an orator since I was on the Mock Trial team, Vice President of DECA, and a captain of the basketball team. 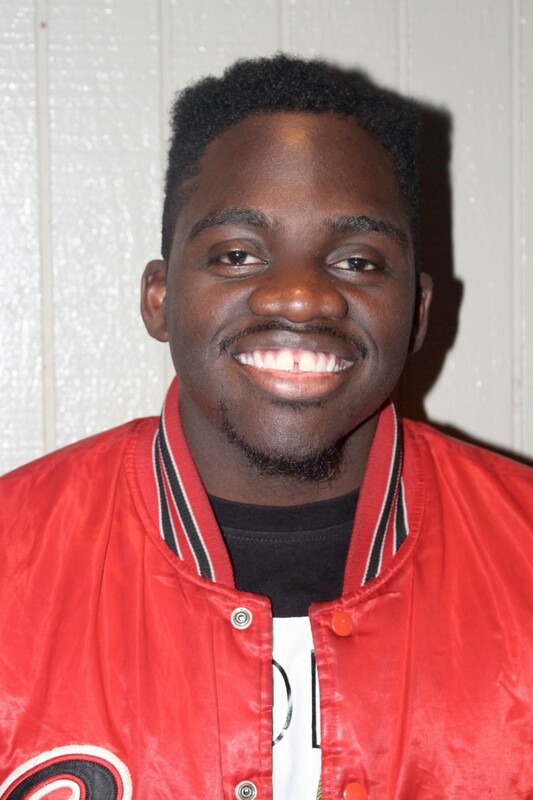 Also, he developed his leadership and writing skills, taught himself how to play the piano, and found out that he had an uncanny ability in the field of songwriting, spoken word poetry, comedy, and rap. At that moment, he vowed to start a business that would incorporate every single talent that he was blessed with and utilize them effectively to spread positivity, the word of God, and the truth with the intent to spark change worldwide. Fast forward to 2015, and that vision came true when Ashton created Blessed Koast Enterprises LLC. Since then, he has managed to perform all over Georgia, become a host on two radio shows at two different radio stations, perform on television, direct two music videos, work with Twin Sports TV, put on my very first concert, release three music projects (next one coming on September 11), partner up with some amazing people and now become the Director of Social Media and Events for the Walking In Authority Teen Council just to name a few accomplishments. There is still more work to do and he gives all the glory to God for allowing him to do it. The obstacles he encountered in life didn’t destroy him. Instead, they empowered him to become a better man and equipped him to make this world a better place.